Westminster University has recently opened the world's first menswear archive accessible for public use. 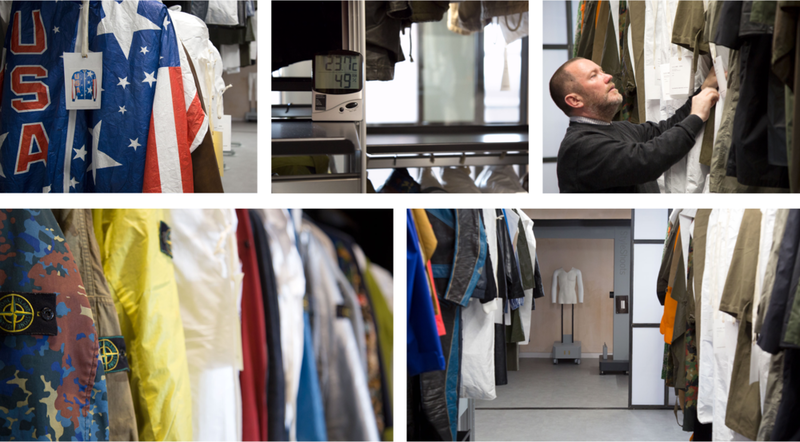 We spoke to course director and designer Andrew Groves to learn more about why cataloging this rare collection of garments - ranging from WWI clothing to statement pieces from the likes of Jean Paul Gaultier, Alexander McQueen and Burberry - is so important for the next generation of menswear designers. 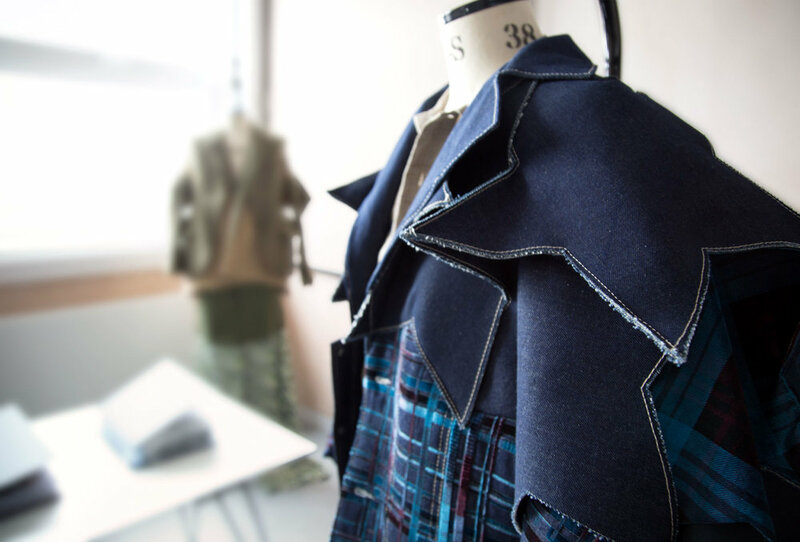 As part of the new menswear MA course the university is now offering, Westminster has put together a 'dream team' of fashion industry luminaries to teach, guide and inspire a new generation of menswear designers passing through its ranks. One of those teachers is Andrew Groves. Known for his controversial and thought provoking fashion shows in the 80s and 90s, Groves now teaches with a speciality on deconstructing the technical craft of making men's clothes. He's guided scores of designers to success since lecturing at the University from 2001. Creating an archive is an ambitious choice for a teacher who wants to emphasize the importance of looking at the past to observe the present, and predict the future of menswear design. And not an easy one at that. "I suppose the most surprising thing about starting an archive was that I foolishly - knowing nothing about archiving - thought it might be quite easy, and enjoyable" Groves chuckles. He adds: "But it's pulling together a social history of menswear in this country - which I don't think has ever really been properly looked at." Groves didn't just want to stop there however, he wanted to open the archive up to anyone who has an interest in the art of menswear design. He wanted to build a community of makers who wear their love for fashion on their sleeve. Westminster's collection of thousands of articles is open to the public by appointment, making it the very first public menswear archive in the world. Now anyone can get up close and personal with an array of traditional, weird, and wonderful men's clothes. The archive also has bigger collection of Alexander McQueen pieces than the V&A Museum. And for those who can't make it to the West London campus? Groves wanted to make sure they could see each and every item by photographing them using StyleShoots equipment. "There isn’t a [dedicated] menswear archive anywhere in the world that’s open to the public - which at the time I thought ‘there must be’." Andrew Groves (born 27 February 1968) is a London-based English fashion designer specialising in womenswear, menswear and prints. He is currently Course Director for BA Fashion Design at the University of Westminster, where he has lectured since 2001. He also works as a creative director, stylist and writer. Westminster Menswear Archive sources its collection of rare pieces with great care. Bringing a new meaning to the fabric of history, there is over a century of menswear design held within temperature controlled environment, from weird and wonderful fashion experiments to clothes that prioritize nothing but function. The inspiration behind it all? Massimo Osti, the founder of CP Company and Stone Island had a private archive of over 30,000 pieces - from military wear to technically complex, fascinating and intricate garments. In Groves' words, this kick-started the process for a designer to use old garments as an inspiration for the new. Inside the menswear archive, visitors and students will be able to see over a thousand individual, rare pieces from the likes of: Stone Island, CP Company, Craig Green, Alexander McQueen, Adidas, Jean Paul Gaultier, Belstaff, Barbour, Levis, Jeremy Scott, Berghaus, Nanamica, Penfield, Griffin, and Comme Des Garcon. For A/W 1999 McQueen experimented with cable knitting to make pieces other than sweaters. This overcoat is made from a thick black sweater knit, constructed into McQueen's signature men's topcoat. The front placket has four hidden buttons. Two side pockets at waist level, and two vertical slit pockets at chest level. 17" centre back. And if those pieces weren't luxurious enough, Groves has managed to get hold of garments like mid-century trench coats worn by the Luxembourgish Police, British Army and American military wear from the 1900s up to the modern day, and even armor worn by the French Riot Police. There's a little bit of everything for modern fashion historians to be floored by. Groves aimed to tell a number of stories with the archive. One of these stories was all about showing how military garments have evolved over the years, and influenced modern technical designs. The story goes both ways, showing how fashion designers have influenced the military. 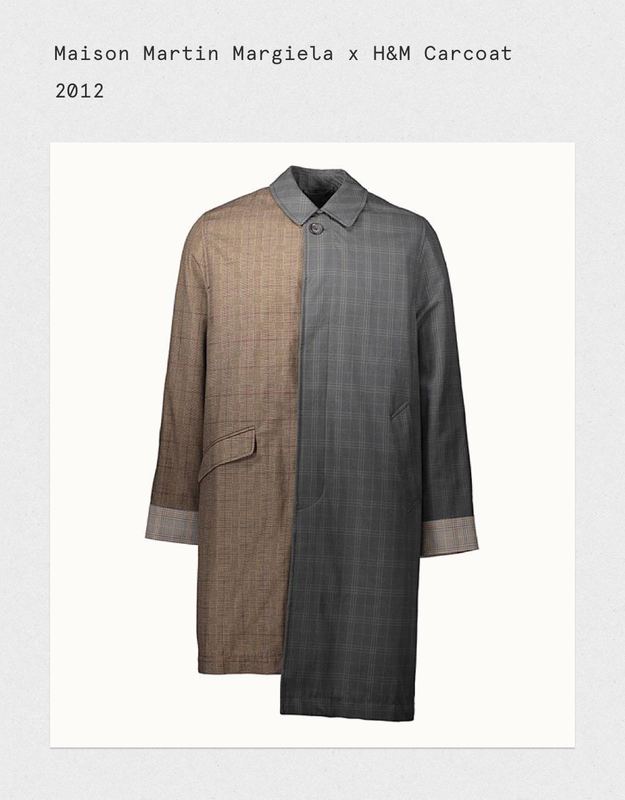 The next story is properly analysing designer menswear over the last few decades. Groves wants to help his students look at the designers that have been hugely influential in setting trends; he wants to show how the McQueens and Margielas of the world have been iterating, creating and breaking rules. Modern designers such as Liam Hodges - known for his asymmetrical style of patchwork - and Craig Green - who fuses contemporary chic with Savile Row tailoring - have also donated their work to the archive. Hodges even graciously donated every single sample of his award winning collections, from his graduation collection all the way up until the present day. Hidden metal buttons, hidden flat pockets, double lined on the back of the neck. Oversize fit. 100% canvas cotton, hand painted using fabric pens and inks. Made in the UK. "At the moment it covers the last 117 years, so it starts at 1900 and goes to present day. We’ve got a collection of rare Alexander McQueen menswear which is bigger already than the collection at the V&A, right up to really contemporary designers like Craig Green." To preserve and share the collection by putting it online, Groves needed a way to photograph each and every piece with speed, ease and detail. 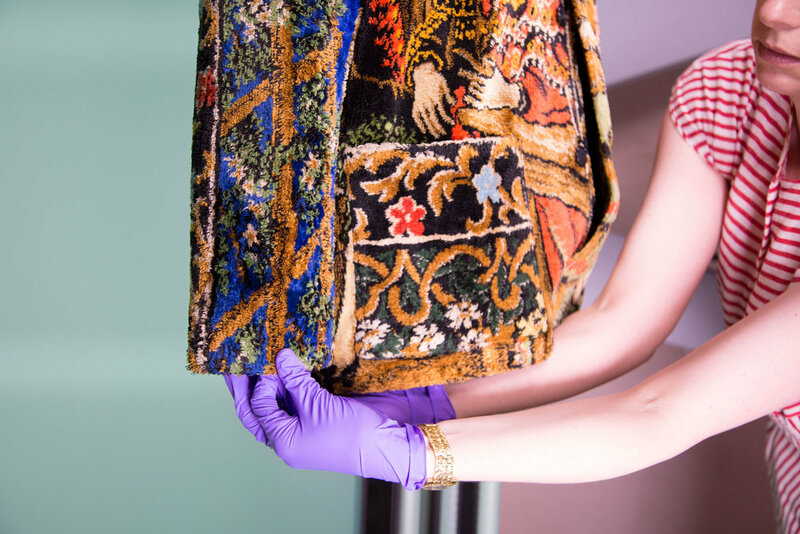 A fellow archivist working at one of the UK's most famous luxury brands informed him about how they were using StyleShoots machines to catalog their own collections. Because the collection is constantly being added to, and Groves admits himself he is 'no photographer or any good at setting up lighting', StyleShoots Vertical allows him to photograph each piece by simply tapping on the iPad interface. In seconds, the machine spits out a perfectly color rendered image with the background automatically removed. Groves then uploads the images to the @menswear_archive Instagram page, allowing design enthusiasts from all around the world to see each item as a 'singular piece of design'. "Menswear, if you truly want to understand it, you have to understand its detail, cut, make and manufacturer. We wanted to capture that in a single photo, so the StyleShoots machines made perfect sense." The new faculty running Westminster University's Menswear MA course - with many having jumped ship from the London Royal College of Art - have taught some of hottest fashion designers to have emerged at London Fashion Week over the past few decades. Liam Hodges, Claire Barrow and Ashley Williams are some of the bigger names to have gone on to make waves in the fashion world right now. Next to this, most of their graduates have gone on to work for the likes of Burberry, Celine, Coach, Tom Ford, Louis Vuitton and Hermes. What makes their teaching so successful? Well, part of Groves' educational philosophy is all about giving the best possible experience to his students. That means investing in resources and creating highly personal teaching environment that gives an almost one-to-one mentorship. Westminster University's BA Fashion Design Course takes only 42 students in each cohort, with the newly formed MA in Menswear only taking 18. Each student gets their own studio space to create and experiment within, which is something that no other course is able to offer. It's an exclusive club to be part of. All designs start from paper and end up as a tangible object, and all great designs begin with great inspiration. A student simply being able to walk into the archive and borrow any garment - even ones they never knew existed - might just help unearth the world's next Alexander McQueen, Tom Ford, or Massimo Osti. "While we've got an amazing resource with the internet, nothing can actually beat physically seeing, feeling and touching objects. Feeling them and asking questions like 'Is the fabric rough? Smooth? Does it give off a smell?'." says Groves. He adds: "I think it enables us to do things that those other collections can’t do. It enables us to draw out those connections between military menswear and uniform - and how that has impacted on menswear design, and show exact examples from both - and also see how maybe designers have learned from military and how military has learned from designers." Designers are even coming back to the archive after graduation to help them get inspired and create. Archives are common tools for designers working in the fashion industry, with almost every well-known brand and retailer having their own private one for use in-house. And as for the future of the collection, and what it means to the future of menswear? Well, Groves wants to increase the sense of camaraderie across the industry. That means getting more people to visit, and even more amazing pieces added that tell the story of how far menswear can be pushed - no matter how practical or impractical it may be. "The support has been incredible already. I think what’s interesting about menswear is that it’s a much smaller community and they’re more open and wanting to support each other." he says, cracking a wide smile. Upon being asked about which pieces he's still seeking out, Groves' laughs and talks about how his own personal obsessions come in to play. The archive is his baby, after all. "I've gotten slightly obsessed by garments that inflate...we were after an Issey Miyake inflatable jacket, but it sold at an auction for £18,000. We couldn't afford that, yet." "I think we’re telling a story of menswear which I don’t think has been told before - and we’re always interested to hear from those that feel they could be part of this archive. We’re creating a really exciting community here." To visit the archive, you can book an appointment on the Westminster University Menswear Archive website. 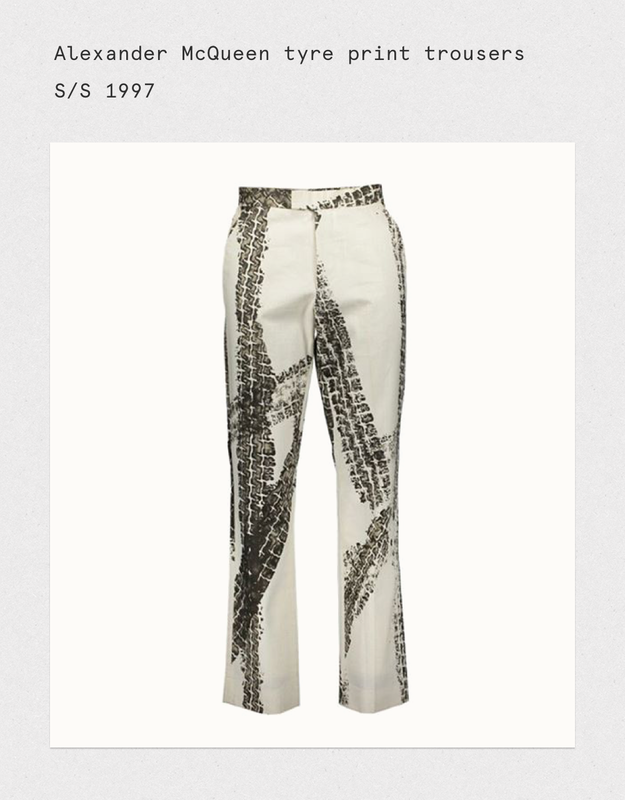 To see some examples of the collection, you can visit the @menswear_archive Instagram page. We'd like to extend a special thanks to Andrew Groves and the University of Westminster.